At Wallauer’s Design Center partnering with our contractors is important to us. We offer High-quality paint, a full line of sundry’s and hardware intended to make contractor’s jobs a little easier. One shop stop with professional sales personal to help with any problem. With over 90 years of experience working with contractors we have the solutions that will work for any project. If you’re a contractor in Westchester or Putnam area Wallauer’ has 17 stores strategically located in convenient neighborhoods White Plains, Port Chester, Scarsdale, Yonkers, Pelham, Bedford Hills,Yorktown, Mohegan lake, Mahopac, Ossining, Carmel, New Rochelle (South), New Rochelle (North), Katonah, Ardsley, Lewisboro / Cross River, Rockland County. We are easily accessible and ready to provide all services to our valued contractor. Contact us today to learn more. Apply for credit in one easy step by filling out a credit application form through Wallauer’s Design Center. Don’t worry about third parties to get credit for your supplies and project needs. Fill out the application in full. Our credit department or outside salesperson will contact to discuss your business and our policies. 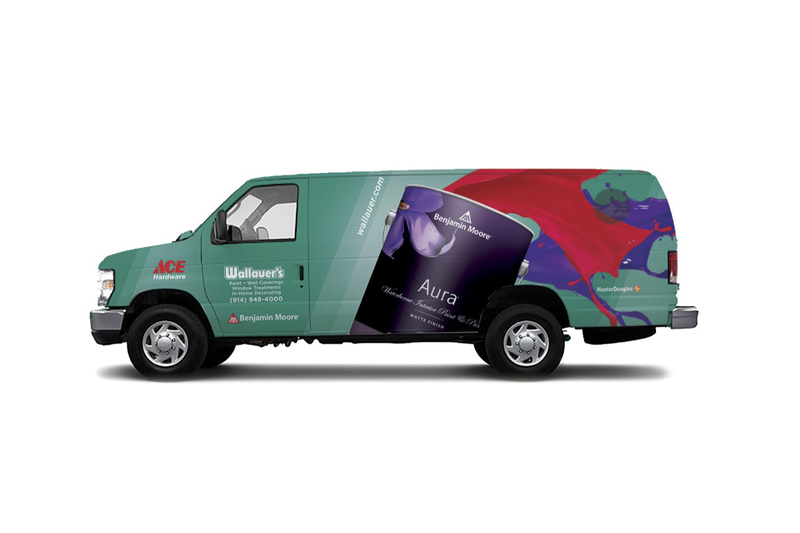 To show our gratitude to our loyal contractors and their business, Wallauer’s Design Center is participating in Benjamin Moore’s FREE rewards program called Contractor Rewards™*. Open to all contractors, this program awards points for your purchases of Benjamin Moore and its family of brands including paints, stains and specialty coatings. Once enrolled in Contractor Rewards, you can redeem points for valuable merchandise for yourself, employees or your business. Wallauer’s Design center is committed to giving our contractors the best competitive prices available on the market. That’s why we offer special discount prices on the most popular products every month. No matter which of our 17 locations across Westchester and Putnam County you visit, we can guarantee the best product selection and prices available. Be sure to check out our monthly promotional buys!